Previsão de entrega: 21 Dia(s) + Tempo de transporte (conforme frete escolhido). New Challenges is perfect if you like to challenge your students. Build your students´ confidence with the clear approach to grammar and vocabulary, and with exercises to develop their spoken and written language. New Challenges is a complete coursethat uses cross-cultural topics to bring the real world into the classroom, making it relevant for your students and encouraging them to think about the world around them. 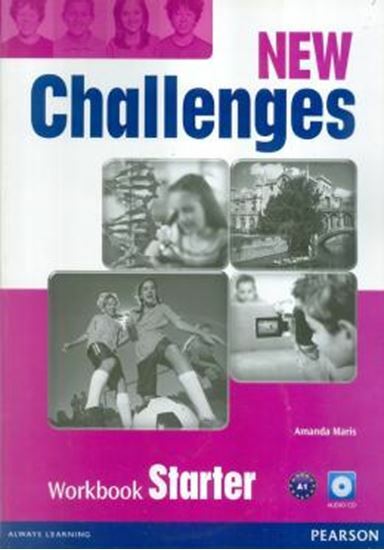 New Challenges is full of lively and challenging activities that your students will enjoy participating in. Students find that rising to meet a challenge can be fun and satisfying and helps build their confidence. New Challenges is a structured course that gives students plenty of practice to develop their language skills. Check student progress and see who needs extra help and who needs extra challenges with a complete testing and self-assessment programme.